Carlsbad, Calif.— While nearly every alpine resort in the world has progressed to allow both skiers and snowboarders to share the same slopes, there are some that still hold the outdated belief that animosity still exists between these two groups of snow sliders. Regardless of if someone rides one plank or two, faces forward or sideways, or shreds the frontside ‘roy vs. backside bowl, SPY is staging its Happy to Squash the Beef goggle demo tour as a way for skiers and snowboarders to come together and celebrate their shared love for seeking out good times on the snow. For years SPY has sought to help both skiers and snowboarders find bliss on snow through its Happy Lens™ technology. The Happy to Squash the Beef tour will show non-believers that skiers and snowboarders not only can tear up the same slopes, but also that many are already friends and enjoy each other’s company both on and off the hill. 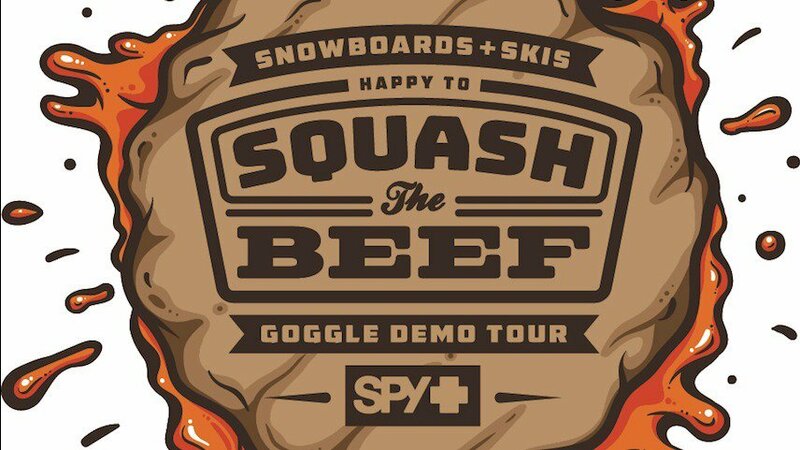 The demo tour will give local skiers and snowboarders the opportunity to shred together, demo the latest SPY Happy Lens goggles, meet members of the SPY pro team and participate in free games to win SPY gear. 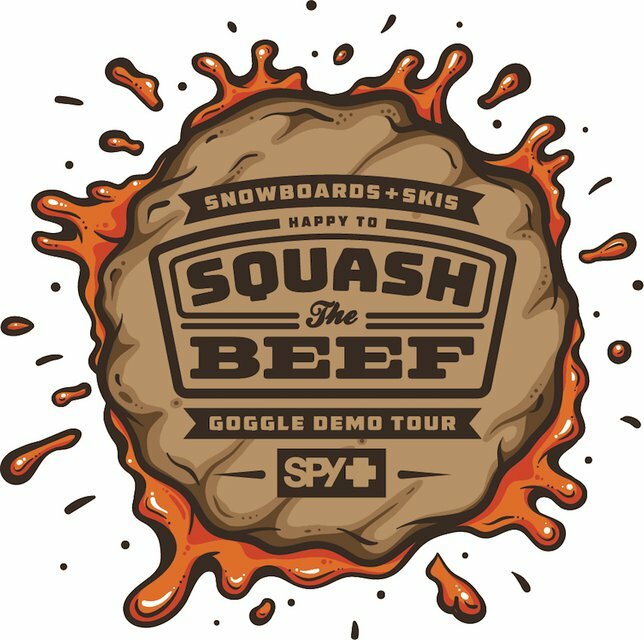 As a bonus, anyone who demos a SPY goggle during each tour stop will receive a lunch voucher for a free burger, fries and drink while at the resort with the SPY crew and athletes. • Feb 4/5 – Mt. Bachelor, Ore. Happy hour at…Details to come! • Feb 11/12 –Mt. Hood, Ore. Happy hour at…Details to come! • Feb 18/19 – Snoqualmie, Wash. Happy hour at…Details to come! The happiness continues when the lifts stop running, as each stop of the tour will include events, raffles, and poster signings at some of the most popular shops at each resort. Locations and times will be updated on the SPY blog. “The rift between snowboarders and skiers has become laughable and is a thing of the past. We share the same parks, seek the same pow and at the end of the day, just want to have a good time on the snow with our friends. In an age when our country is so divided, SPY wants to bring people together to celebrate how lucky we are to spend time on snow doing something we all love,” commented Andrew Thomas, Marketing Manager at SPY. Products available for demo during the tour will include the Bravo and Doom goggles, with the fingerprint-free Lock Steady™ lens change system, as well as the Ace goggle, the most affordable, quick-change goggle on the market. All goggles feature the patent-pending SPY Happy Lens, a color and contrast enhancing lens technology that independent studies have shown can help improve both mood and performance. SPY has a patent pending on this therapeutic eyewear and is the only eyewear company with this advanced lens technology. More information on the Happy Lens and its snow goggle line can be found online at http://www.spyoptic.com/snow.